I’m currently writing the sequel to my first novel Towel Dry and a Good Cry, entitled Towel Dry and an Alibi. In the story, Josie and her family are celebrating St. Josephs Day, a Christian holiday. Here is a direct quote from the sequel, (still untitled!). There is a Catholic tradition my mother makes a big deal out of every year on March 19, St. Josephs Day. The focus of this holiday is on “St. Josephs Table,” a feast that includes breads, vegetables, egg dishes, pasta and desserts. It’s like a Catholic Thanksgiving, to me. 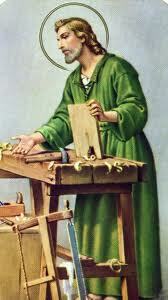 Legend has it, during the medieval drought and famine, Sicilians prayed to St. Joseph, the patron of workers and the guardian of family. When the famine subsided, they attributed it to the saint and promised to honor him each year with a feast. The main pasta dish my mother always prepared was a meatless red sauce, (it’s Lent) with anchovies and topped with bread crumbs to represent the sawdust, a nod to the saint’s connection with the working man. This entry was posted in Blog, Holiday, Italian, St. Josephs Day, St. Josephs Day, Towel Dry and a Good Cry, Triva and tagged Holiday's, Italian, Italian Trivia, St. Josephs Day, Towel Dry and a Good Cry by judydeluca. Bookmark the permalink.